Why Buy Used Mazda Engines from Garage 777? Used Mazda engines for sale at Garage 777 are only supplied from low mileage vehicles and each engine is tested thoroughly in our state of the art garage before fitting. 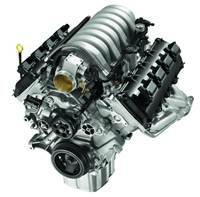 Our engine experts can fix any problem and there is no compromise on quality. Getting a second hand engine is the most affordable option whenever there is a need for an engine replacement. A used or second hand Mazda engine is one which is sourced from Mazda vehicles which are no longer operational or are damaged due to an insurance write off. They have also been used prior to being taken out. Although they come with items such as manifolds, injectors etc, but it is still recommended to use your original components. Garage 777 is a well reputed supplier of used Mazda engines in the UK. We have everything in place to supply you problem free, affordable and reliable units that will keep you free from all your engine problems. Our large engine inventory consists of units not just for cars but also for cars and vans and we are committed to provide you with quality engines at the cheapest online prices. We are proud of our excellent customer service and we have earned this reputation by putting you, the customer first. For that extra peace of mind we offer free warranty as well as delivery all over the UK, so get in touch now for a no obligation free online quote for a used Mazda engine.